Christmas is the most wonderful time of the year! Apart from eating a lot it is also a good time to do other creative and fun stuff with your loved ones! So we give you some suggestions to enjoy this Christmas with Chromville! Don´t forget to have fun and be as creative as you can be! 1. If you are playing Secret Pal or you don´t know what to give this year you can give our amazing educational package, ChromvilleWorld, that includes the Science App, the 2D Classroom Materials and the 3D printable figures. 2. Haven´t you sent your Christmas cards to wish your family and friends a very Merry Christmas yet? 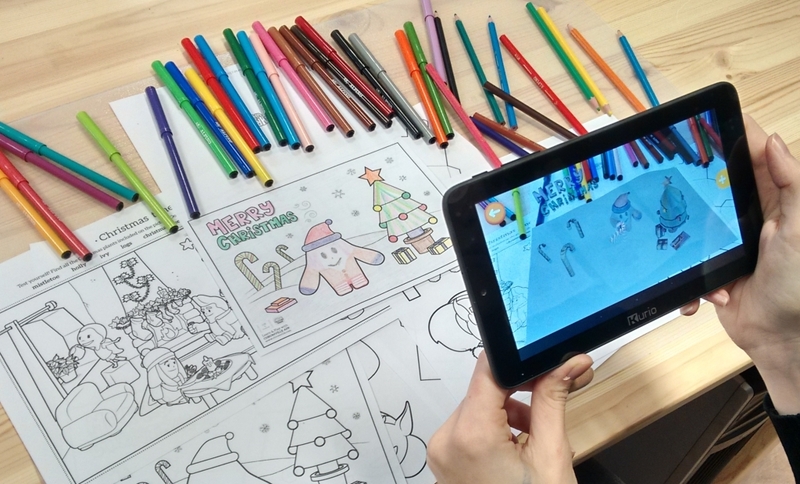 Well, don´t worry you still have time to do it with our Augmented Reality Christmas cards! Sure that they won´t expect such an original card as this one! 3. Do you like to cook? Why don´t you try to cook ginger cookies and make them look like the Chromers? 4. The whole family can decorate the house together so you help each other and have fun. You can print our Christmas coloring pages and hang them on your halls or paint snowflakes with the Chromers painted inside and hang them on your windows. 5. You can play a game called: Let´s place the Christmas Star! 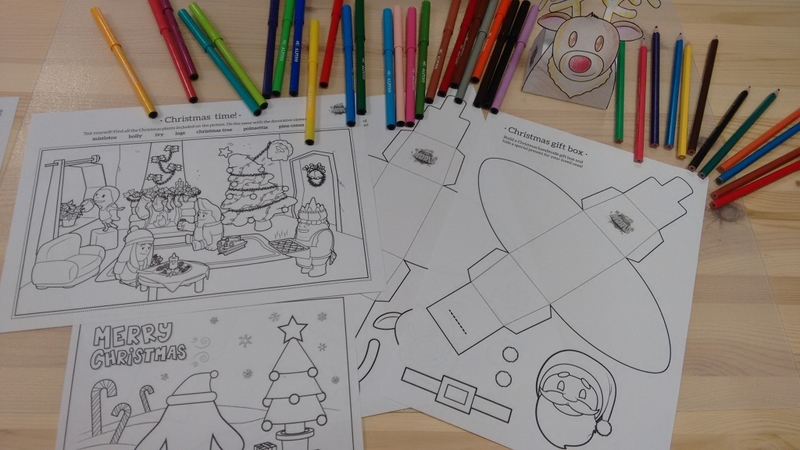 Print our Christmas time coloring page and look for the 7 Christmas plants. The first one to finish can put the star on top of the tree! 6. Haven´t you wrote your Santa letter yet? What about a letter with a Chromville decoration? Sure Santa will love your card even more when he sees the Chromers drawed in it! 7. The Chromers love the Christmas Wish Tree! They write down their wishes for the New Year and hang the paper on the tree. They will burn the wishes on New Year’s Eve before the midnight so all their wishes come true!